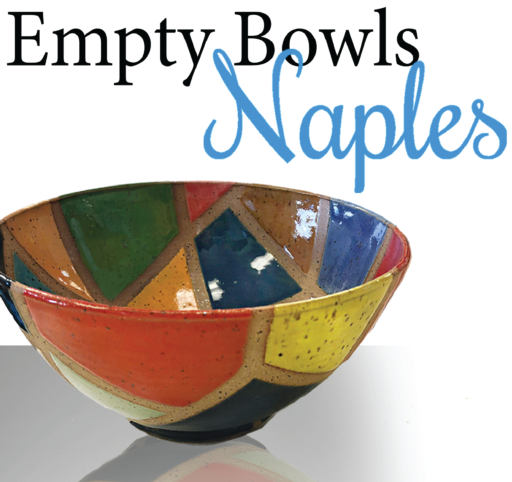 The Empty Bowls Naples organization enlists the creative talents of local potters, artists, educators, students and volunteers to create handcrafted and painted bowls which help to serve up a fun, social event to raise money and awareness in the fight against hunger. The Empty Bowls event held each January in Cambier Park supports the community’s efforts to feed the nearly 40,000 people in Collier County who are food insecure, which means they may not know where their next meal is coming from. Receive special admittance to the event, your choice of a handcrafted ceramic bowl from the exclusive Friend's table, a commemorative miniature bowl, name recognition at the event and invitations to all Empty Bowls workshops.